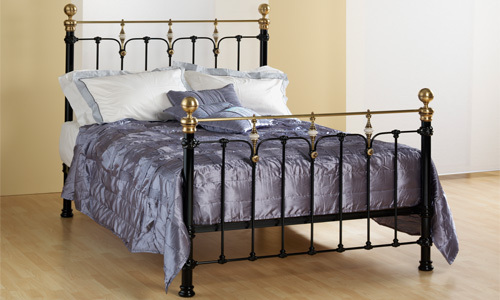 The Bed Butler Buckinghamshire Metal Bed is a classic Victorian metal bed. It has been designed and constructed by skilled craftsmen using original & authentic drawings from that era. 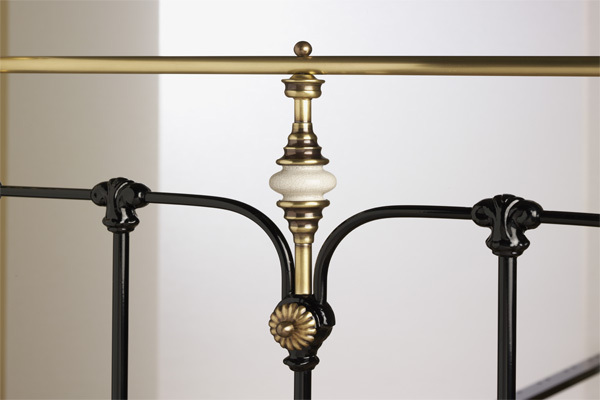 The upright metal bars at the bed head and bed foot have been shaped to form curves to give a softer look. 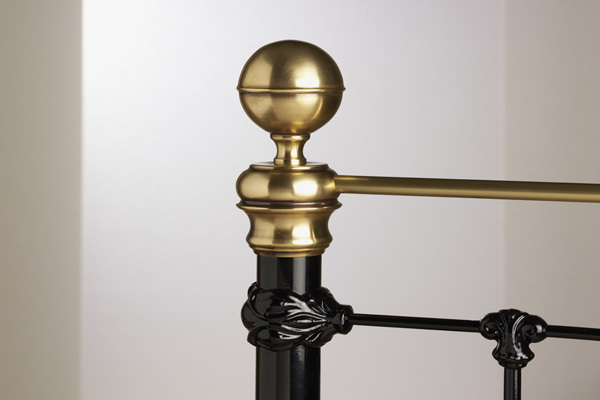 The top has then been finished off with a brass rail with heavy antique brass domes, giving a very classic finish. Only the finest materials have been used by our craftsmen using time honoured processes to develop and manufacture the Buckinghamshire bed which will last a lifetime. The traditional design of this bed will enhance any bedroom for years to come. The cast iron dovetail joint is a replica of Victorian beds of years gone by and of proven strength that will last a lifetime. 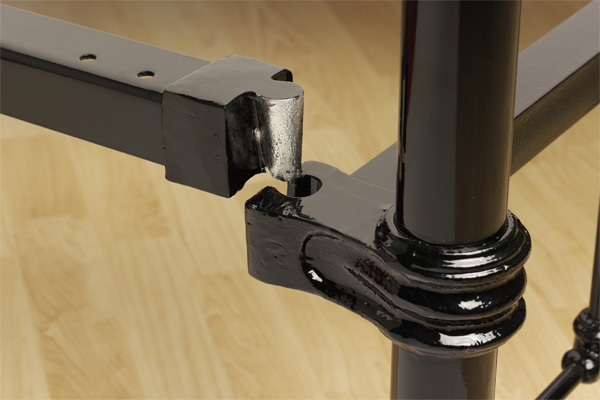 The benefits of this type of joint are that it is easy to assemble and reduces movement. The seamless way in which the whole design works in harmony suggests solidity and lifelong dependability. The base is constructed using beechwood slats.